Your french bulldog eyes smeared brown below? The dogs, especially if they are white or cream and they are flat with bulging eyes, they are often stain the skin underneath the eye as a brown stain as rusty and reddish. These spots also appear on the nose, in the creases of the face and legs if they lick much. Besides they are unsightly, make the gesture of our french bulldog a lot more sad. They are not malignant spots but besides aesthetics we are sure that your bulldog scratching occasionally because it annoys and itches that area, in some cases much it irritates the skin in this area. These brown spots arer produced by their own tears. 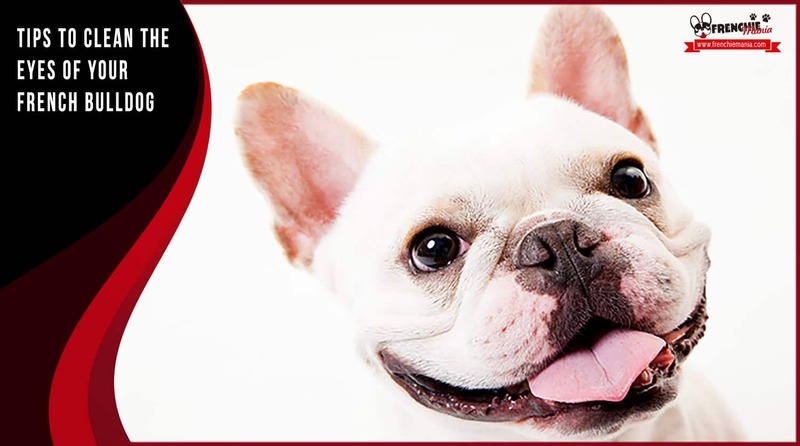 The tears contain salt, iron and magnesium, and are the last two minerals which oxidise when in contact with air making that reddish brown eyes effect on your french bulldog. Also, if your dog is prone to cry its eyes, moisture concentrated below the eye can attract bacteria and fungi and cause an infection. Probably if your french bulldog is allergic, his eyes will weep. 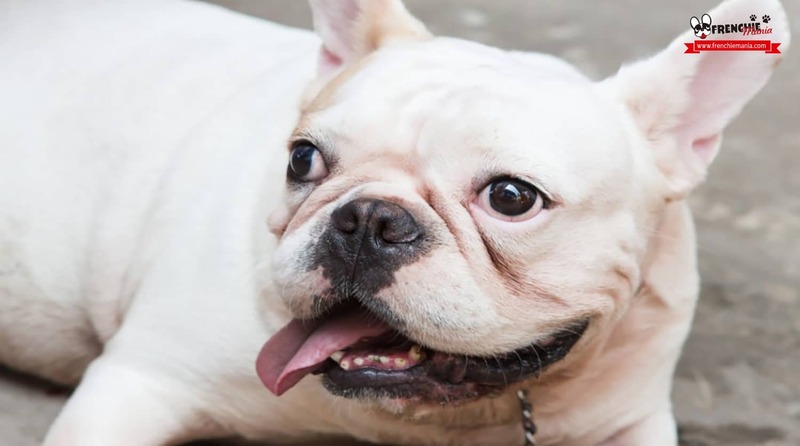 If this happens to your french bulldog, as with any other reaction in its body you should note that it’s nothing serious, since it can be an infection. If he has a lot of irritation, and notice something strange as it may be hurting his eyes it is recommended to first visit your vet and discard it as something bad. 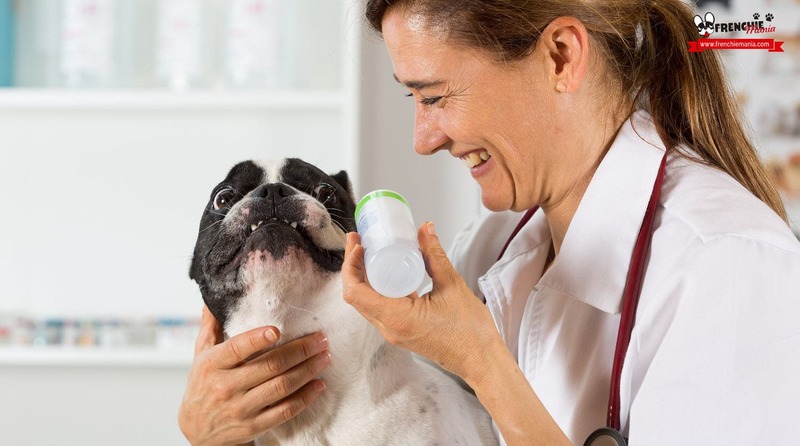 This treatment is particularly suitable in the case of small breeds with flat noses, that genetically inherited have the tendency to have their tear ducts become clogged. It will be the veterinarian to make proper cleaning. Your french bulldog may suffer allergies and you have not detected. There may be certain objects in the environment that are causing its eyes secrete more tears, or the food contains many additives and artificial colors that will also cause this reaction. It is interesting that your veterinarian will make the appropriate tests. Food is also very important, as long as we have said with a food as natural as possible, without additives and colorings but rich in meat. There are people who choose to give human food, rich in vegetables, meat and vegetables, but this requires time and money in many cases. You can also give from time to time unsweetened natural yogurt, it is a good bacteria that helps kill the bad bacteria that forms under the eye of our dogs. 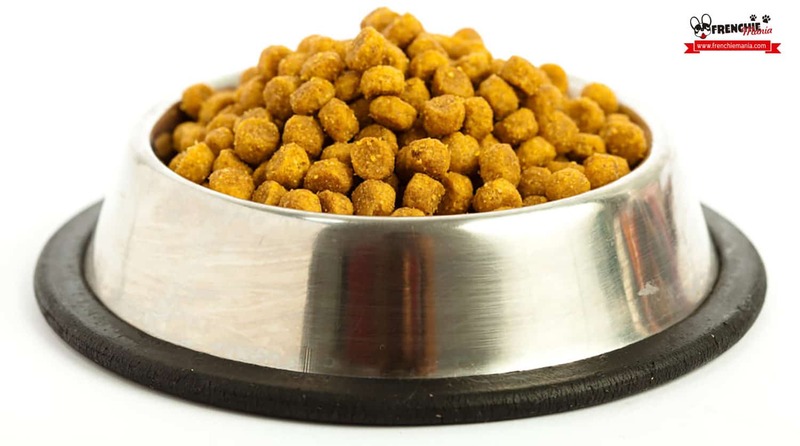 In addition to a balanced diet, that is, avoid giving your dog food that he should not eat as we mentioned in one of our latest posts. You can give him, with veterinary prescription, dietary supplements that produce positive bacteria in the body of your dog and fights against negative that can be hurting. 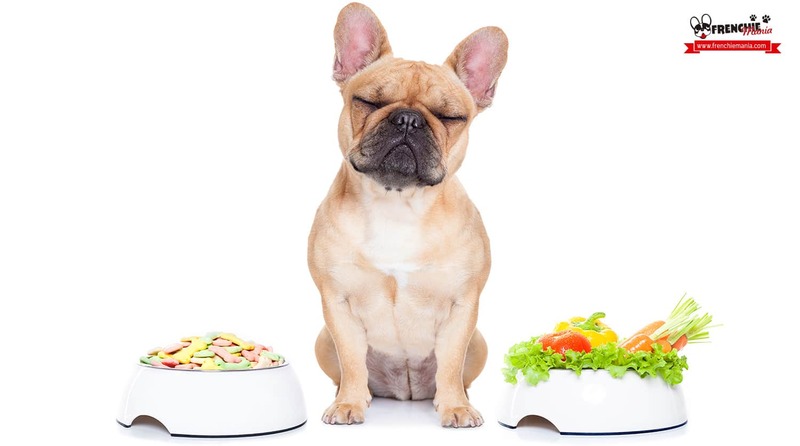 This solution is a bit more expensive, and if you give a special food to your french bulldog, but you might want to keep in mind. Giving your dog bottled mineral water also reduces stains much in his eyes. There are some products on the market to clean this area and “whiten” but in many cases they have chemical content and we believe that the best is natural, especially taking into account that our frenchies are very sensitive to allergies. 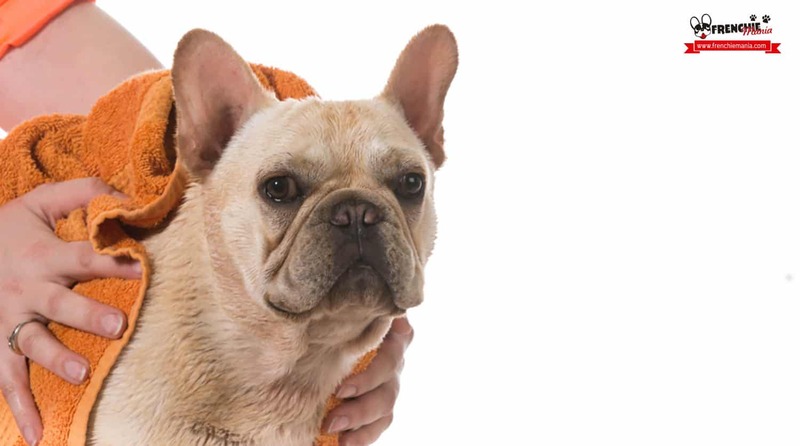 Care the hygiene of eyes of your french bulldog daily, clean the gummy, dirt or hairs that make them tear more than usual causing the brown dirt. You must also keep the zone as dry as possible, so that the moisture that forms does not grow bacteria. There are different remedies to clean your dogs eyes. If they get used since little everything will be great, 5 minutes a day to keep the health of his eyes. Besides occasionally you can reward him for behaving so well when cleaning. 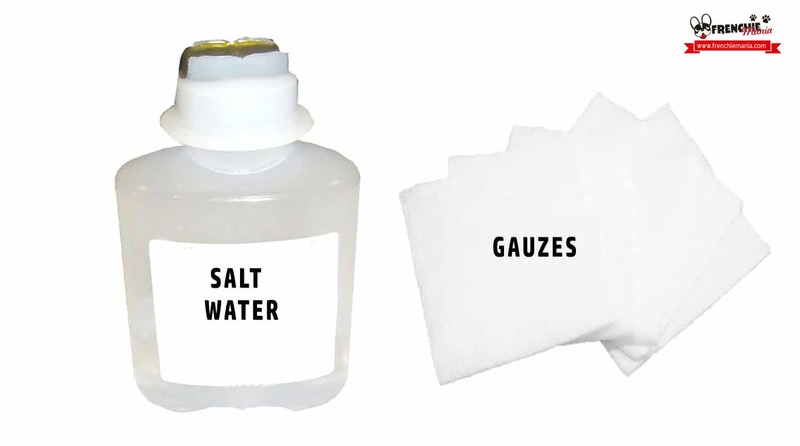 At the pharmacy you can buy a bottle of saline (salt water) and gauzes for daily cleaning sessions in the eyes. Soak well the gauze, gently clean the eyes to avoid irritating the area, and finally dry with another gauze carefully the area. If it runs out and one day you dont have one at hand , you can mix some sea salt in a cup of warm water to dilute well and wipe. This 50% improvement in the area, rather removing stains if you are consistent. 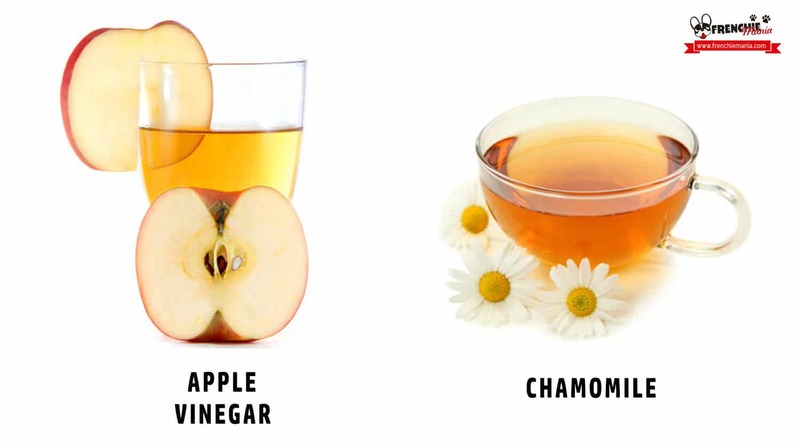 Another option is to use apple cider vinegar, which we have already spoken once to relieve itching of allergies. You can either dilute a bit of apple cider vinegar in a glass of water and thoroughly clean their eyes as we discussed before. Or also, add a tablespoon of apple cider vinegar in their drinking water, as it will turn the tears slightly acidic preventing bacteria and fungi to from. Another home remedy is well wipe their eyes, as we do when we have an infection, with some chamomile. Prepare a camomile and when cold, soak it either with a gauze and clean its eyes, then wipe well too. 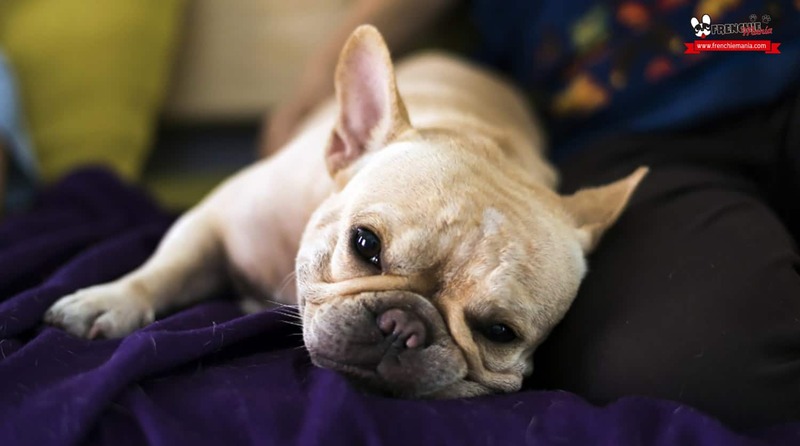 While on occasion we talked about them, if your frenchie has problems with spots and eyes irritation, avoid as much as possible food and water bowls of this material, since these germs proliferate much more. Best use a plastic food and water bowls, and of course wash them with soap and water frequently. As you can see there are many solutions to the problem of stains in the eyes of your french bulldog, but remember that the most important thing always is that you discard that it can be some kind of serious problem. Hygiene as with their teeth, is as important as they eat every day. We hope this post has been interesting, do not forget to leave a comment and share it on your favorite social networks.